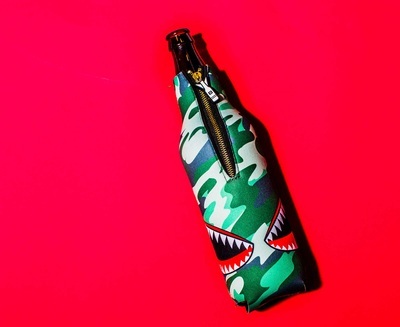 ​​​​​​​​​​​​​ULTRA PREMIUM BEVERAGE INSULATORS FOR 22 OZ BEER BOMBERS & MORE. REDUCE THE RATE OF WARMING BY 50%. Our original B-22 model is designed to fit all standard 22 oz beer bombers. All of our insulators are far more superior then your typical "koozie". Constructed of high-quality 4mm neoprene & finished off with heavy gauge gold alloy zippers for a premium look & feel. ​Keeps your brew cold twice as long or your money back! 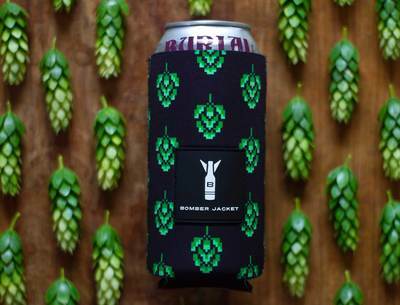 ﻿Our 650 mL beer bomber insulators are tailored from high-quality neoprene that delivers a premium look & feel. 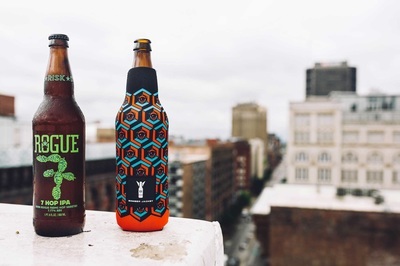 The B-22 by Bomber Jacket fits all your favorite 22 oz beer bottles like a glove. Take Bomber Jacket with you next time you're at a bar, outdoor event or bottle trade for a exceptional experience.